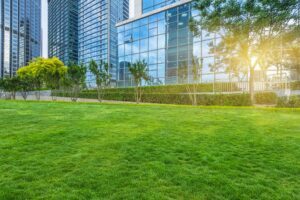 If you’re a business owner or manager, your commercial landscaping requires a little more care and attention than a residential landscape because not only should it be beautiful and functional, it should be safe for your employees, customers or clients, and the general public. 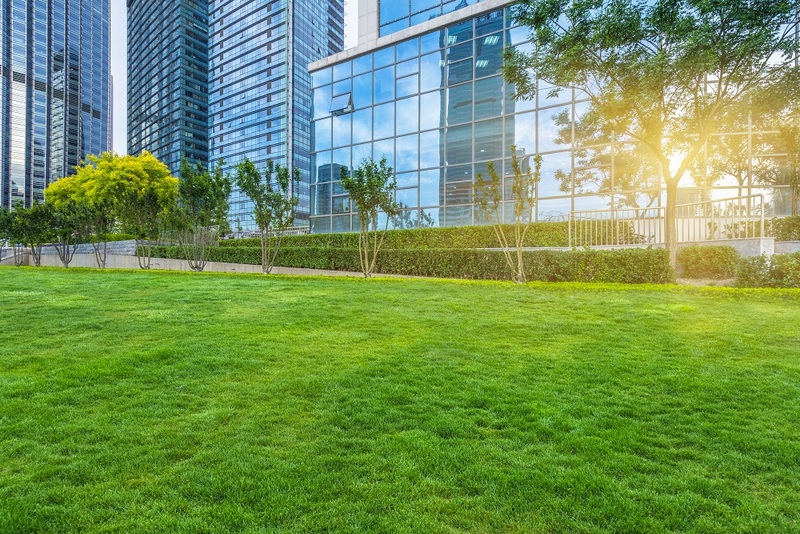 If you’re a business owner or manager, maintaining a commercial landscape requires a little more care and attention than a residential landscape because not only should it be beautiful and functional, it should be safe for your employees, customers or clients, and the general public. Your landscape is an extension of your business and, if properly maintained, should make an immediate visual impact on visitors. To get the most of your commercial landscape, compile your own maintenance checklist with the tips and advice we will be looking at today. Mow regularly: Nothing can make a worse impression on a potential client than an ill-kept lawn. Mow regularly and efficiently. Mowing two strips around the perimeter of turf and then mowing in straight lines perpendicular to this, alternating the pattern every other mow if possible, is usually the most effective method. Don’t overwater: Overwatering can be as harmful as not watering, as roots need oxygen to survive. If your landscape is in standing water or the the soil is damp to the touch you should cut back the watering or consider installing drainage or topdressing. Pruning: Most commercial properties need the shrubs pruned at least twice a year. Two times is the minimum and it usually happens in June and then again in September where shrubs and flowers flourish. Cleaning up in fall: Keeping leaves off the turf is important for plant health, as well as making your property look well maintained and more inviting. Any business owner with a large landscape should strongly consider aeration as an option, with this time of year being perfect for this process. The aeration process removes plugs of soil from the ground and leaves them on the surface of the turf. These holes allow the roots to breathe and receive air and water, and immediately stimulates root growth. The plugs themselves contain microorganisms that will feed on the organic matter and aid in the prevention of soil compaction. After only a couple of weeks, your landscape will be transformed and healthy. This entry was posted on Friday, September 22nd, 2017	at 12:26 pm	and is filed under Landscaping Maintenance	. You can follow any responses to this entry through the RSS 2.0	feed. Both comments and pings are currently closed.